Sign up and receive Property Email Alerts of Simplexes for sale in Welgelegen, Polokwane. 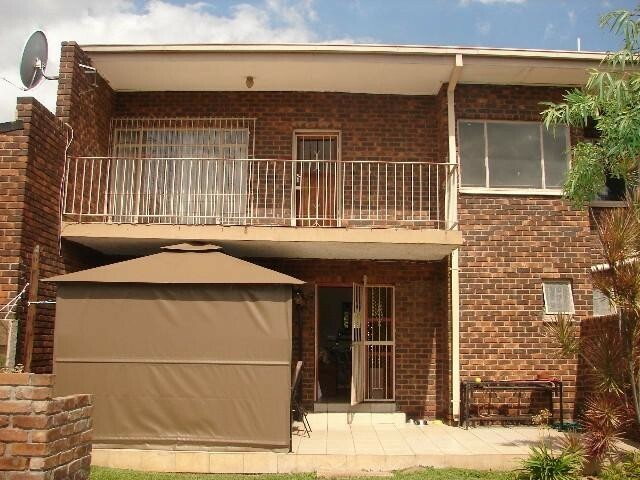 This 192 s q m townhouse situated in Welgelegen is ideal for the first time buyer.Offering you a lounge and dining area.All 3 rooms are carpeted and have built in cupboards.Small garden for kiddies to play in or to enjoy a barbecue with your friends and family.Single lock up garage and 2 additional parking for guests. Pietersburg / Polokwane, capital of Limpopo, is the largest metropolitan complex in the north and a major economic centre. Its proximity to the neighbouring countries of Botswana, Zimbabwe, Mozambique and Swaziland, as well as its convenient distance from the Kruger National Park and Magoebaskloof, makes it a perfect gateway and good destination in itself. Polokwane, the vibrant capital of the province, is one of the fastest growing cities in the southern hemisphere. Founded in the gold rush days of the 1880s, it has witnessed Stone Age nomads, Iron Age settlements, European migrations, wars and political upheaval. For the tourist in today’s peaceful times, it promises an abundance of fascinating historical sites and attractions. Sign-up and receive Property Email Alerts of Simplexes for sale in Welgelegen, Polokwane.